Winthrop Aldrich Rockefeller was born the same day as was Gene Kelley, American dancer, actor, choreographer and director. Winthrop was born the year the luxury liner Titanic set sail from Southampton, England, on its ill-fated maiden voyage (April 11, 1912). Winthrop Rockefeller is the fourth grandnephew of Johann Philip Rockefeller, the husband of Catherina Sharp. Philip and Catherina are my third grand aunt and uncle. Catherina is the granddaughter of Jacob A. Scherp, the German immigrant who come to America in 1710 among a group of some 3,000 German Palatines. Described in another manner, Winthrop Rockefeller is the third cousin, five times removed from John Philip Rockefeller, the husband of my third great aunt, Catherine Sharp. 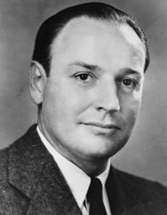 "Winthrop Rockefeller, a member of the prominent United States Rockefeller family, was a politician and philanthropist who served as the first Republican governor of Arkansas since Reconstruction. "Winthrop Rockefeller was born in New York City, New York to John D. Rockefeller, Jr. and Abby Greene Aldrich. He was the grandson of John Davison Rockefeller, Sr. who founded the Standard Oil Company. His brother, Nelson Rockefeller served as Governor of New York and Vice President of the United States. Winthrop and Nelson Rockefeller were the first brothers to serve simultaneously as governors of U.S. states. Winthrop attended Yale University from 1931 to 1934. "He enlisted into the U.S. 77th Infantry Division in early 1941 and fought in World War II, advancing from Private to Colonel and earning a Bronze Star with clusters and Purple Heart for his actions aboard the troopship USS Henrico after a kamikaze attack during the Battle of Okinawa. He appears in the Infantry Officer Hall of Fame at Fort Benning, Georgia. "Rockefeller moved to central Arkansas in 1953 and established Winrock Enterprises and Winrock Farms atop Petit Jean Mountain, near Morrilton, Arkansas. 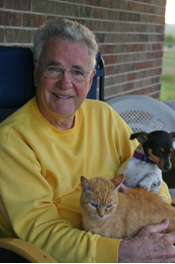 "In 1955 Governor Orval Faubus appointed him as chairman of the Arkansas Industrial Development Commission (AIDC). In 1956 he married Jeanette Idris. "Rockefeller fell in love with Arkansas and commenced an assortment of philanthropies and projects for the benefit of the people of the state. He financed the building of a model school at Morrilton, Arkansas, led efforts to establish a Fine Arts Center in Little Rock, Arkansas, financed the construction of medical clinics in some of the state's poorest counties, in addition to making annual gifts to the state's colleges and universities. These philanthropic activities continue to this day through the Winthrop Rockefeller Foundation. "Rockefeller resigned his position with the AIDC and conducted his first campaign for governor in 1964. His campaign was ultimately unsuccessful against the powerful Faubus, but Rockefeller had energized and reformed the tiny Republican Party, and had set the stage for the future. "When Rockefeller made his second run in 1966 only 11% of Arkansans considered themselves Republicans. But the people of Arkansas had grown tired of Orval Faubus, after six terms as Governor, and as head of the Democratic "machine." Democrats themselves seemed to be more interested in the reforms that Rockefeller offered in his campaign than "winning another one for the party." An odd coalition of Republicans and Democratic reform voters catapulted Rockefeller into the Governor's office. "The Rockefeller administration enthusiastically embarked on a series of reforms, but faced a hostile Democratic legislature. Rockefeller endured a number of personal attacks and a concerted whispering campaign regarding his personal life. "Rockefeller had a particular interest in the reform of the Arkansas prison system. Soon after his election, he had received a shocking State Police report on the brutal conditions within the prison system. He decried the "lack of righteous indignation" about the situation and created the new Department of Corrections, which made huge strides in making the Arkansas prison system into a more professionally-run institution. "Rockefeller also focused on the State's lackluster educational system, providing funding for new buildings and increases in teacher salaries when the legislature allowed. "At the 1968 Republican National Convention, Winthrop Rockefeller received backing from members of the Arkansas delegation as a "favorite son" presidential candidate. As his brother, Nelson, was then concluding a major presidential bid, they became the first brothers ever to receive votes for President at the same major-party convention. "Rockefeller won re-election in November 1968 and proposed tax increases to pay for additional reforms. Rockefeller and the legislature dueled with competing public-relations campaigns and Rockefeller's plan ultimately collapsed in the face of public indifference. Much of Rockefeller's second term was spent fighting with the recalcitrant legislature. "During this term Rockefeller quietly and successfully completed the integration of Arkansas schools that had been such a political bombshell only a few years before. He established the Council on Human Relations, despite opposition from the legislature. Draft boards in the state boasted the highest level of racial integration of any state in the Union by the time Rockefeller left office. When he entered office not one African-American had served on a Draft Board in the state. "In the campaign of 1970 Rockefeller expected to face Orval Faubus, who led the old-guard Democrats, but a young Turk named Dale Bumpers rose to the top of the Democratic heap by promising reform from the Democratic side of the aisle. The youth of Bumpers and the excitement of a new type of Democrat was too much for an incumbent Republican to overcome. Rockefeller had lost the 1970 election, but had forced the Democrats to reform their own party. "As a shocking last act, Governor Rockefeller commuted the sentences of every prisoner on Arkansas' Death Row, and urged the Governors of other states to do likewise. "In September 1972 Rockefeller was diagnosed with inoperable cancer of the pancreas, and he endured a devastating round of chemotherapy. When he returned to Arkansas the populace was shocked at the gaunt and haggard appearance of what had been a giant of a man. "The legacy of Winthrop Rockefeller lives on in the form of numerous charities, scholarships, and the activities of the Winthrop Rockefeller Foundation. The foundation provides funding for projects across Arkansas to encourage economic development, education, and racial and social justice. "Rockefeller's political legacy lives on in both the Republican and Democratic parties of Arkansas, both of which were forced to reform due to his presence in Arkansas politics. Rockefeller was the subject of the 2 December 1966 cover of Time magazine."